The idea weight for shoulder presses is different for everyone. Shoulder presses are an effective exercise that works multiple sections of the shoulder muscles in one movement. A good weight for shoulder presses varies with each individual. 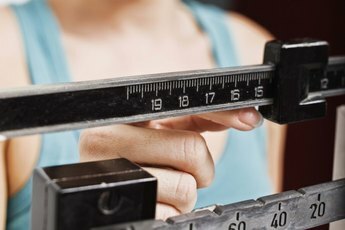 There are several ways to determine what the ideal weight is for you, and the weight can be modified to meet your specific strength-training goals. Determining your one-rep max – or 1RM – is one option for figuring out what an optimal weight for shoulder presses may be. To determine your 1RM, start with a warm-up weight where you can complete three to five repetitions with moderate effort. After a two-minute rest period, increase the weight by 10 to 20 pounds (or 5 to 10 percent) and complete two to three repetitions. 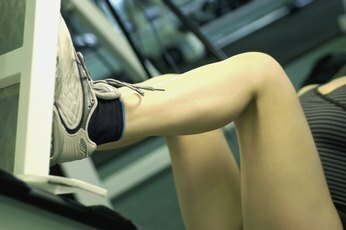 After another two to four-minute rest period, increase the weight by another 10 to 20 pounds and go for a single repetition. If you’re still cranking out repetitions at this point, continue adding weight in 10 to 20-pound increments after two-minute rest periods until you max out at a single repetition. Once you’ve determined your 1RM, calculate 70 percent of the total weight and start working regularly with sets of 10 to 12 repetitions at that weight to build muscular endurance. Calculate 85 percent of your 1RM and work with six to eight reps for strength and mass gains. In terms of strength training, the term failure refers to the point where you cannot lift the weight anymore. Your muscles have reached “failure” and can’t contract any further to move the weight. You want to reach failure when testing for your 1RM, but you can use the same approach for a faster – though maybe less precise – way to find how much weight you should be shoulder pressing. If your goal is to build muscular endurance and tone, start with a moderately challenging weight and see if you fatigue by 12 repetitions. If not, move up by 5-pound increments after a two-minute rest period until you find a weight that pushes you to failure by the twelfth repetition. You’ve probably pre-fatigued yourself to some extent determining the proper weight, so don’t be surprised if you can actually move slightly more weight by the time you sit down for your next shoulder workout. But you’ll at least be in the ballpark of an ideal weight that pushes you to failure. Every individual is different, so the ideal starting shoulder press weight for one woman may not be an ideal weight for you. Your starting weight can also vary depending on if you’re looking to build muscle size or strength and endurance. If you’re looking to develop size in your shoulders, the ideal range is three to eight repetitions. If you’re goal is strength and endurance, your repetitions can run as high as 15 or more. The ideal starting weight may vary from person to person, but it even varies within your own workout based on what you want to achieve with your shoulder presses. You’ll be able to move a heavier weight for the three to eight repetitions than the weight you would use for the 12 to 15 repetitions. Your shoulder is a complex and delicate joint where multiple muscles and bones meet. 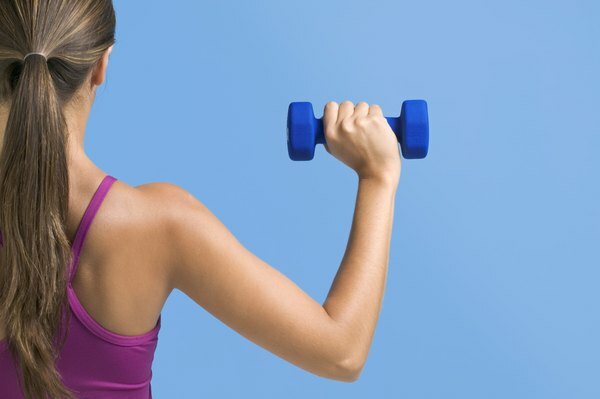 It’s important to stay conservative with your weights for shoulder exercises until the muscles and connective tissue have developed adequate strength and flexibility to withstand more force. Always start your shoulder workout with an easy five to 10-minute cardio warm-up and gentle stretching of the arms and shoulders. If you’re unsure of how to progress safely while testing your 1RM or working towards failure, ask a fitness professional to assist you. Keep in mind that proper form is one of the best safeguards against injury. 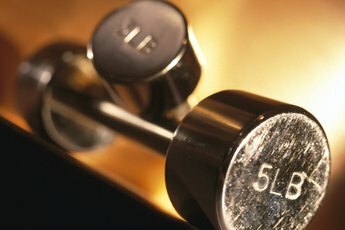 What Do Max Bench Press & Body Weight Determine? What Are the Most Effective Exercises to Define Shoulders?